We're fans of the trusty old GorillaPod here at The Test Pit, using it to film stuff for our YouTube channel. The flexible, grippy tripod comes in all shapes and sizes (as we've discovered here and here) but now Joby have upped their game with a three-legged, doubled armed version with multiple connections, the GorillaPod RIG. 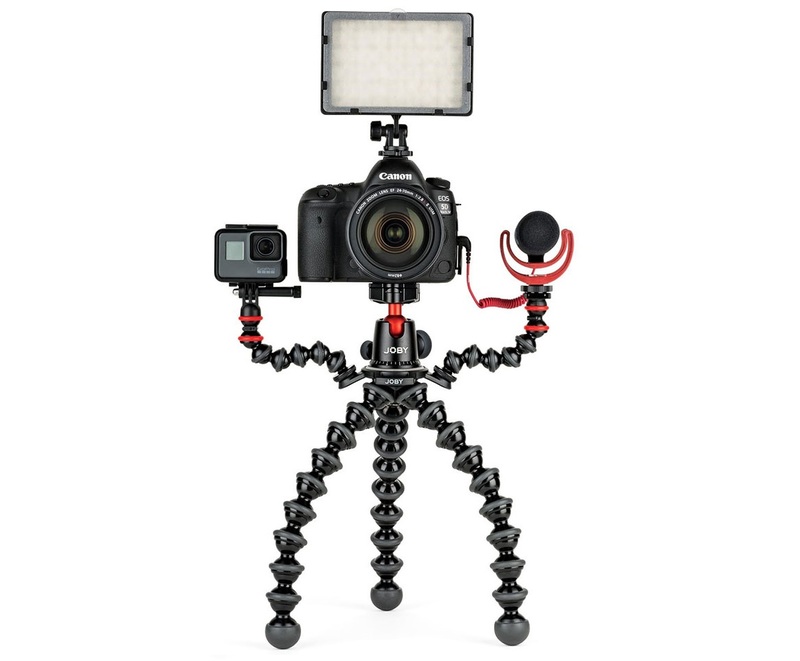 This beefy bit of kit has been designed for videographers and vloggers and offers a simple solution to the problem of not having enough hot or cold shoe mounts on your camera. Where the ball head of the GorillaPod meets the tripod, a special adaptor is placed, with two smaller, flexible GorillPod arms. On those you can affix lights, microphones, other cameras, phones... whatever you need. As we spoke about in this video, the camera we tend to use to make videos does not feature an external mic port, meaning we use a Zoom H1 Handy Recorder to grab the sound. 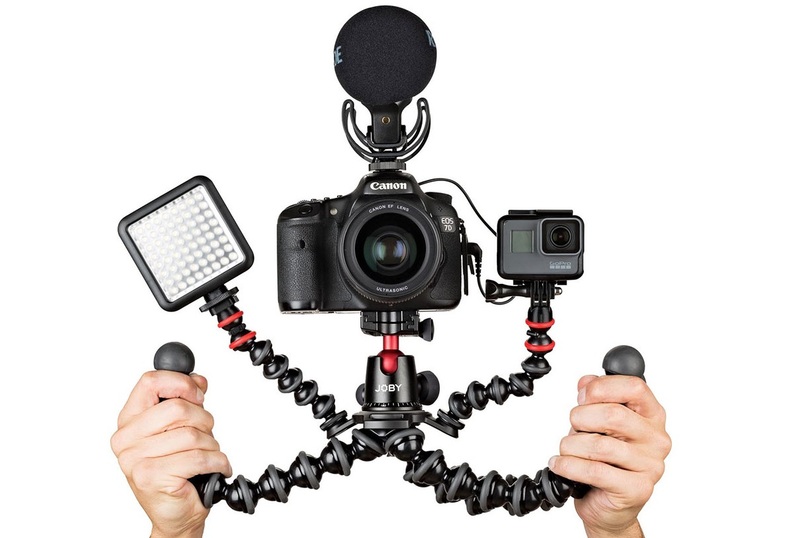 Whereas in the vid we show how we use another smaller GorillaPod to attach the mic to the camera, the GorillPod RIG would mean there would already be a mount available for it, as well as a light (as we set up in this video of a Manfrotto system).